If you would like us to keep track of when you need a delivery by use of degree days, you can be put on an Automatic delivery schedule. This allows us to keep track of your fuel use and insure a steady supply. Our computer is equipped with a "Problem Preventer" program that double checks all Automatic Delivery customers, minimizing any chance of a run-out. We encourage our customers to contact us if they an anticipated increase in fuel use, such as a new baby or an elderly family member moving in that has you raising the thermostat or an unanticipated increase caused by a construction project or an accidental open window that causes a greater than normal heat loss. In the rare case of a run-out on an Automatic Delivery account in good standing, a truck will be sent out immediately to fill your tank. A service technician will start (prime) your system, free of charge, once the tank is filled. If you would like to keep track of your own fuel needs by use of the gauge on the tank, you will be put on a Will-Call delivery schedule. You can call or email the office (before 9:00 am for a same day delivery) and order any amount of fuel over the 100 gallon minimum. If you run out of fuel, a truck will be sent during the next dispatched run and a service technician will start (prime) our system for a charge of $40. At the time of delivery, the driver will leave a receipt and a return envelope. If this receipt is paid within seven (7) days you make take the Early Payment Discount of 10 cents per gallon (if delivered at $3.20 a gallon, you pay $3.10 a gallon. You can pay by check with the return envelope, cash upon delivery or at our office at 89 Turnpike Rd, Ipswich, call the office or select the "pay your bill" button here, to pay with MasterCard, Visa, American Express or Discover, or you can pay electronically through your bank account. Early Payment Discount is honored with all these payment types if done within 7 days of delivery. Budget account automatically receive the Early Payment Discount upon delivery as long as their monthly payments stay current. 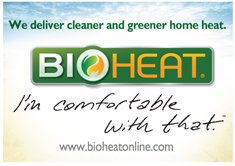 Bioheat is safe and provides a cleaner, more complete and energy efficient burn. It is a renewable energy source that reduces global warming gas emissions; it is also non-toxic, biodegradable, and suitable for sensitive environments. It actually extends equipment life and reduces periodic maintenance intervals. 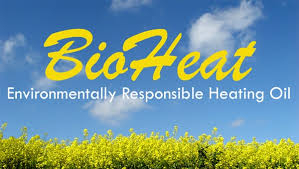 Bioheat® is made domestically from agricultural or recycled resources, reducing America’s dependence on foreign oil and creating jobs here at home. Call Churchill Oil for your fuel needs. We are the only heating oil supplier you'll need. 978-356-7954.